A great opportunity for commercial cleaning business owners. 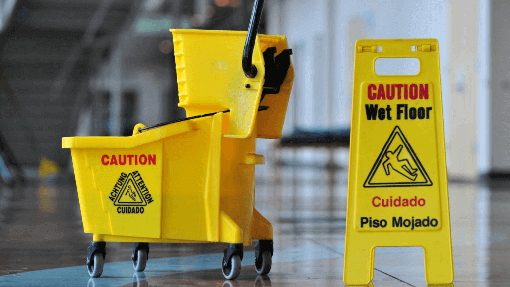 Vanguard Cleaning Systems of Minnesota offers an opportunity for experienced individuals to own and operate an independent commercial cleaning business. Our janitorial franchise owners can take advantage of a Vanguard business system certification, ongoing support, and the quality commercial cleaning clients that come with an established, trusted brand. Why Buy a Vanguard Cleaning Systems Franchise? Keep and grow your current client base. Increase market share and access to new opportunities and accounts. Reduce overhead and support costs. Drive increased revenue through brand recognition. Increase revenue within accounts through specialized services. We’re seeking established janitorial or cleaning businesses that have the experience and structure to serve a diverse and refined client base. If you own and operate an independent janitorial services business—or are supervising a crew at a larger cleaning company and want to start a business—we’d love to talk to you! Opportunities are available in the greater Minneapolis and St. Paul areas, as well as the Rochester area. A transfer of clients with monthly recurring contracts. Office support including client service, billing, and collections. VetFran – Committed to the success of current, returning, and future U.S. veterans. MinorityFran – Dedicated to the growth and success of minority-owned franchises. The International Franchise Association (IFA) – An organization promoting the success of franchise opportunities around the world.